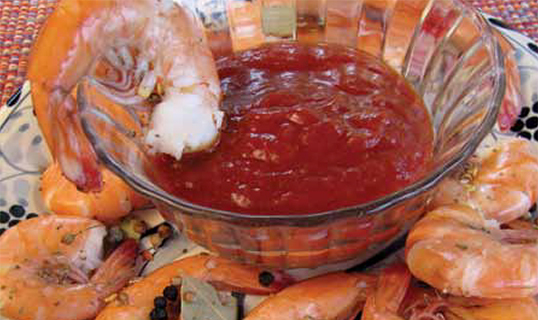 Place unpeeled shrimp on rack over water in large pot. Sprinkle with spices. Cover with tight lid, bring to a boil, and steam three to five minutes or until center of shrimp is opaque. Drain and cool.